Is Somizi planning a wedding 'extravaganza'? Four wedding venues, a TV special, and a prenup - Somizi is pulling out all the stops for his big day! New details have emerged about Somizi's wedding plans. Somgaga proposed to his boyfriend of eight-months Mohale Motaung last year. The couple is now planning the celebrity wedding of the century. According to the Sunday Sun, Somizi and Mohale will get hitched in April over the Easter weekend. A source told the paper the wedding festivities will take place at four different venues. Mandela Bridge in Braamfontein, Johannesburg, will allegedly serve as the location for the main ceremony. "He’s already secured the bridge venue... he wants his wedding to be the talk of the town," the source told the Sunday Sun. Another source claimed: "The wedding will be an extravaganza. Somgaga’s pulling out all the stops to outdo every celebrity wedding he’s been to." If Somgaga has his way, his fans could get to watch the ceremony on TV. He is reportedly in talks to sell the broadcast rights for his wedding to MultiChoice. MultiChoice is reportedly working on the "finer details" of the proposal before making a final decision. 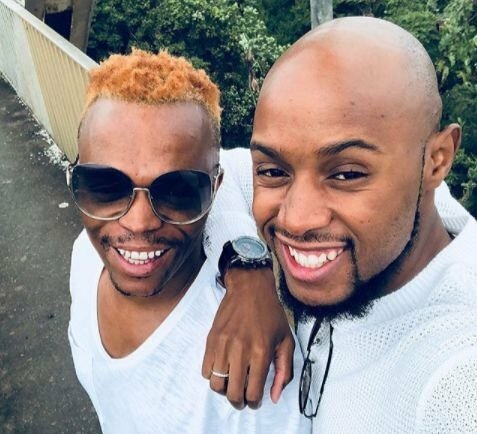 Somizi and Mohale are also working on some finer details of their own. Somgaga will reportedly make his fiancé sign a prenuptial agreement before they tie the knot. If Somizi's proposal is anything to go by, their wedding is going to be over the top. The 45-year-old 'Idols SA' judge proposed to Mohale during a holiday in Paris. "Yes, I did... on the ‘Love Lock’ bridge with the Eiffel Tower behind us. I’ve watched too many movies obviously,” he said at the time.